Opinion: Could Panasonic launch a full frame GH5? The launch of the Leica SL has led many to beleive that Panasonic could be about to launch a full frame CSC with 4K video. But is that really a possibility? The announcement of the Leica SL has led some to speculate that Panasonic will announce a full-frame compact system camera, but is there any evidence that this could happen? It’s no secret that Panasonic and Leica have a good working relationship. Panasonic designs, manufactures and tests Micro Four Thirds lenses to quality standards that ensure Leica is then happy to wear the iconic red dot badge. And in return, Leica re-badges and tweaks Panasonic compact and bridge cameras as Leica models. Somewhere in between there’s obviously an exchange of ideas and information, but does this mean Panasonic will follow suit and announce it’s own full-frame CSC? The first bit of evidence: Leica’s claim that the new SL has the world’s fastest AF. Now that’s quite a claim, but one that Panasonic has also made in the past. From this, it’s pretty logical to deduce that Panasonic has worked with Leica on the AF system, and that bodes well for a future Lumix GH5 camera. Leica has also adopted lens-based stabilisation, something that it’s probably borrowed from Panasonic. In addition, the Leica SL has Panasonic-esque view modes including shutter speed simulation preview, and its 4K video capture at around 100Mbps also seems rather familiar. Add that to the 10-bit 4:2:2 via HDMI to an external recorder, and once again it would seem that Panasonic has had some influence here – those specs match those of the Lumix GH4. Then there’s the addition of Panasonic’s V log contrast mode. The leap of faith comes when we talk about the Leica SL using a full-frame Panasonic sensor. There’s no evidence that Panasonic produces a full-frame sensor, although Leica is keen to stress that the sensor used isn’t a stock Sony model. In the past Leica has used full-frame Kodak sensors, and the 24-million-pixel full-frame sensor in the Leica M (typ 240) is designed by CMOSIS and manufactured by STMicroelectronics. What happens in reality, is that a company will work on developing a sensor based on the requirements of the camera manufacturer. A third-party manufacturer will then be found who can fabricate the sensors based on the final development design. Often there are only a few such places in the world that can handle such specific requirements. So it isn’t quite as simple as stating that the sensor is made by Panasonic – and it certainly doesn’t mean that Panasonic has a full-frame sensor, or the rights to use such as sensor. We know that the Leica Q and SL sensors are very closely related, with the power of each camera’s Maestro processors probably making the real difference in the output capabilities of the cameras. Finally, why would Panasonic produce a full-frame camera? Leica has a range of full-frame lenses from its M-series rangefinder cameras. They have this heritage, and a demand from photographers wanting to use these lenses. Panasonic has a history of using Four Thirds sensors, with no legacy lenses to concern themselves with, and no historical user base. 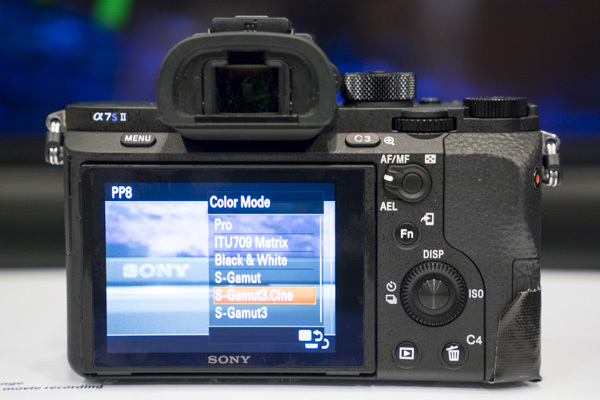 With its excellent colour modes and 4K internal capture, the Sony A7S II has taken some of the shine away from the Panasonic GH4. But keep in mind that Panasonic’s GH series of cameras was once the king of video, although they’ve now been somewhat usurped by the Sony Alpha 7 series – notably the Alpha 7S II. Not to mention the Canon EOS 5D series. No longer are the GH cameras the default camera for videographers who want something smaller and lighter, or those who’d like internal 4K recording. Considering this, it’s logical that Panasonic will hit back hard with its next camera. However, full frame would require a new lens mount, and with such a strong Micro Four Thirds lens line-up, introducing a new mount could be a big risk. It would be interesting if a full-frame Panasonic model were to adopt the Leica L mount used by the new SL. All of a sudden any camera could become part of a new full-frame CSC system, with Panasonic and Leica offering L mount cameras and lenses, as well as any number of Leica lenses that could be used via an adapter. Then Panasonic could create their own lenses, which would also give Leica SL users a more affordable option[g2]. As Panasonic and Olympus have found with the Micro Four Thirds system, there’s strength in numbers when developing, launching and establishing a new system. There’s very little evidence and few logical reasons why Panasonic would introduce a new line at this stage. And the main selling point of the Micro Four Thirds system is its size and weight advantage. Lenses with larger apertures to compensate for the difference in depth of field would be a good step for Panasonic. Or a camera with an 8-million-pixel sensor designed purely for low-light 4K video shooting. Even a sensor that could output slightly higher than 4K resolution to take advantage of better colour, detail and post-production stabilisation. 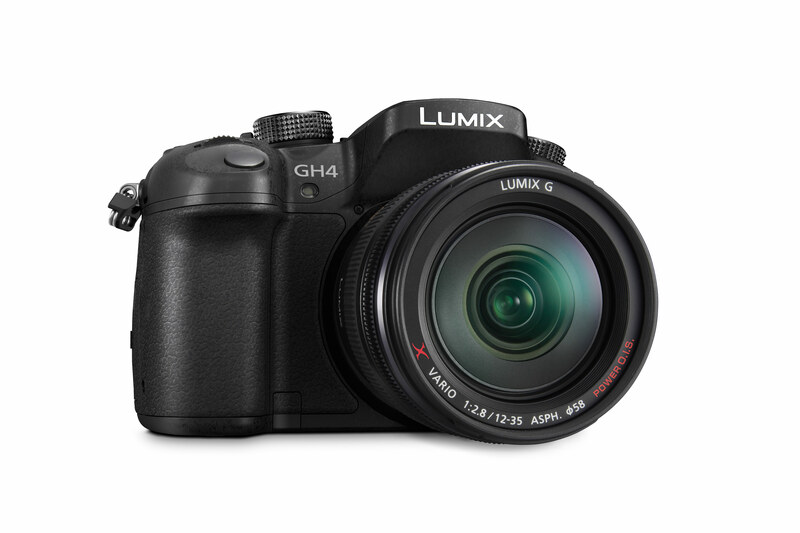 At this stage all of these things make more sense than Panasonic producing a Lumix GH camera with a full-frame sensor. However, if the talk on forums and social media is anything to judge by, then it would certainly be a popular option.